R.B.I. Baseball 2 features all 26 major league teams, each with a full roster of players. You can choose any National or American League team. You can even play one of the 1989 All-Star squads. R.B.I. Baseball 2 has One Player and Two Player options as well as a Password mode to enable you to play a full season (one game against every team in the division). In addition, a watch mode provides you with the best seat in the house for a computer-controlled match up. R.B.I. 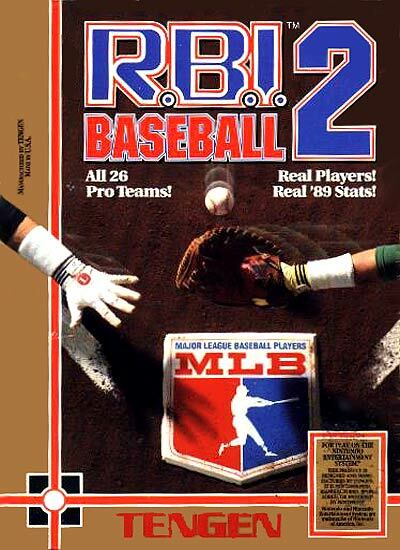 Baseball 2 is similar to the original R.B.I. Baseball in terms of gameplay. This time around the game uses the teams and statistics from the 1989 season. Just as in the original, you get to see what it's like to step up to the plate as Ricky Henderson, pitch the ball like Nolan Ryan, and catch a line drive like Ozzie Smith.